The cost of widening the last single-carriageway part of the A465 Heads of the Valleys road is on course to exceed the entire budget for the South Wales Metro upgrade, with the Welsh Government still locked in dispute with a highway contractor. The current A465 roadworks are disrupting journeys near Brynmawr, and a year ago the government said it hoped the eastern section would be completed by October 2018. However, several more months of work are needed on that section. Last November, Welsh transport secretary Ken Skates admitted that converting five miles of the A465 to dual carriageway between Brynmawr and Gilwern was expected to cost almost £51m more than the previously expected at £220m. With the 11-mile section from Hirwaun to Dowlais top set to come in at £500m, it means that the final price tag for widening the last 16 miles of the A465 now appears to be about £770m, excluding VAT, inflation and the costs of the private finance. This exceeds the £738m set aside for the South Wales Metro upgrade, which includes electrification of the Core Valley Lines and installation of additional track to enable twice as many trains to run to Cardiff from the Heads of the Valleys. The upgrade is due to be completed in 2023, as is the A465 dualling west of Dowlais. The official assessment of that dualling rates the scheme as “low” value for money. However, it has emerged that this rating could be improved by simultaneous construction of a new bypass north of Aberdare. The Welsh Government will convert the A465 from Dowlais Top to to Hirwaun to two lanes in each direction Last year, Mr Skates also revealed that the government was at loggerheads with contractor Costain over how much of the extra cost of the Brynmawr to Gilwern section should be met by each party. The government said completion of the works was postponed from spring to autumn 2019. The wrangle continues and the completion date has slipped again, to the end of next year. A government spokeswoman said: “Once the dispute is resolved, Welsh ministers will issue further statements on the project’s commercial position. “The dispute involves consideration of a range of complex legal and technical issues following the process set out in the contract, and the overspend will be apportioned between Costain and Welsh Government strictly in accordance with the contract terms. While the dispute continues, the government has started procurement for the £500m dualling of 11 miles of the A465 between Hirwaun and Dowlais. The government does not have enough money or borrowing facilities to pay for the road as well as the £1.4bn M4 Relief Road at Newport, and is therefore inviting companies to bid to finance, design, build and maintain the dualled road. The government will repay the winning bidder over the concession period, as with Private Finance Initiative (PFI) schemes such as the A55 on Anglesey. The government reserves the right to hold up to 20% of the equity of the company set up for the A465 dualling. A recent report for Rhondda Cynon Taf councillors said that the Cynon Gateway North bypass scheme is “technically challenging” but “now benefits from a commitment from Welsh Government to work in partnership with the council to bring the project forward”. Mr Skates had said the bypass would contribute to “mitigating additional traffic generated [by the A465 dualling] through Llwydcoed” and would increase the ratio of benefits to costs from the dualling. The council aims to build the bypass at the same time as the dualling. Last week Chancellor Philip Hammond said the UK Government would not use the PFI for new infrastructure projects, “putting another legacy of Labour behind us”. The Treasury said the PFI model had proved “inflexible and overly complex”. 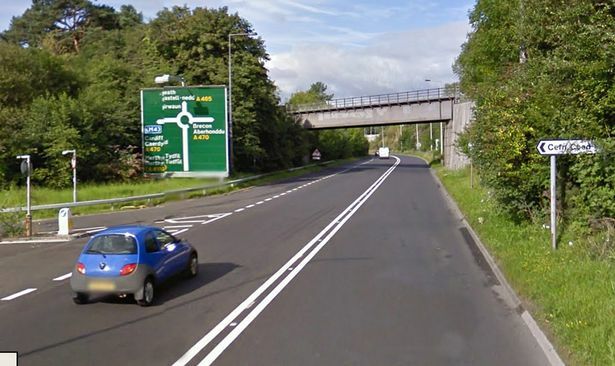 However, the Welsh Government argues that its version of PFI for the A465 dualling is different because it will hold a minority stake in the company which undertakes the work and maintains the road.